David Lee Roth Net Worth, Who are The Wife and Children or Is He Gay? As far as rock music is concerned, there are some people who have written their names on the sands of time and American rock star David Lee Roth happens to be one of them. David has been the lead singer of the spectacular rock band known as Van Halen. Along with the group, the singer has launched so many hit songs which have garnered international recognition; thus, becoming one of the best lead singers of all time. Notably, David has a four-octave vocal range which has distinguished him from many other singers. The vocalist and his group were inducted into the Rock and Roll Hall of Fame in 2007, all thanks to their unparalleled contributions to rock music. David Lee Roth was born on the 10th day of October 1954 in Bloomington, Indiana. He was born to Nathan Roth, a successful real estate investor and surgeon and his wife Sibyl Roth. His whole family is gifted in the medical profession. During his early stage in life, David developed a keen interest in entertainment after hanging out at his uncle’s club named Cafe Wha’? There, he was opportune to witness performances from top stars such as Jimi Hendrix and Bob Dylan. After that, he was determined to pursue a career in music. The vocalist spent his childhood both in Bloomington and Swampscott, Massachusetts. As a teenager, his family relocated to California where he completed his basic education. At the time, the youngster started performing with local band groups and he featured in so many shows organized by his school. Due to his poor academic performances, David saw himself attending many schools including John Muir High School in Pasadena and later finished from The Webb Schools, California. After graduation, he enrolled at Pasadena City College from where he eventually dropped out before his graduation in order to focus on his music career. While he was in college, he was able to meet the Van Halen Brothers Alex and Eddie with whom he later formed the incredibly successful rock band. Soon after David dropped out of college, together with the Halen brothers, he formed a band named Mammoth in 1974. Their name was later changed to Van Halen when it was discovered that a different group was using the name Mammoth. 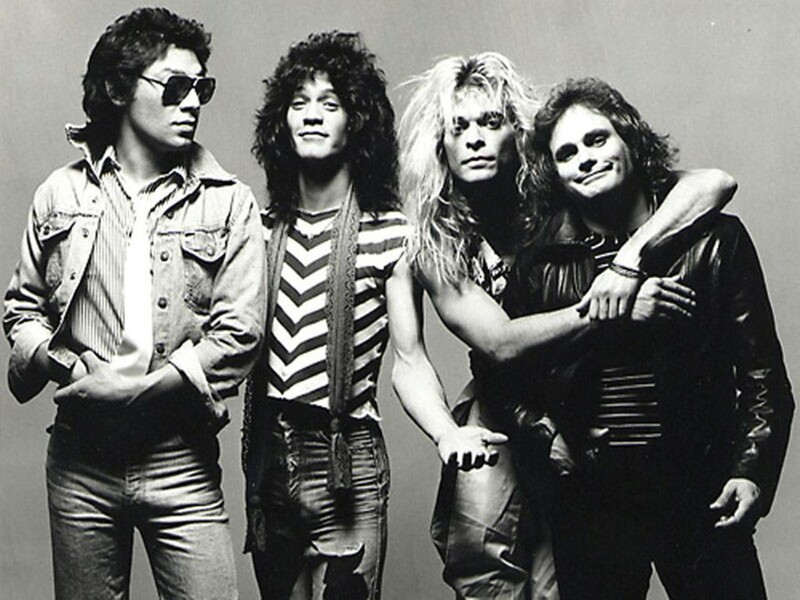 With David as their lead vocalist, the Van Halen began performing cover songs for different shows which eventually made them regular performers at the Starwood Club. They got the attention of Gene Simmons in 1976 and he assisted them in producing a demo tape. Along with the group, David launched their first self-titled studio album which became commercially successful; thus, bringing them to the limelight in 1978. The following year, they followed it up with their hit single titled Dance the Night Away. Since then, the group continued to make giant strides in the world of rock music. They have equally launched seven more hit albums in addition to their debut. They have also released several EPs and collaborated with different groups. Without a doubt, David and his group have brought remarkable changes to the trends in rock music and their top-notch performances have kept them in the heart of their numerous fans across the world. Some of their most popular albums include Women and Children First, Diver Down, Fair Warning, 1984, Different Kind of Truth, and Tokyo Dome Live in Concert. Their noteworthy EPs include DLR Band, Diamond Dave, Skyscraper, and A Little Ain’t Enough, among others. Asides the band, David Lee Roth has done a lot of work on his own. Since 2012, the music star has been running a show titled The Roth Show on YouTube and iTunes. He has also appeared in Jimmy Kimmel Live! And many other TV shows. Net Worth: How Much is David Lee Worth? The rock and roll star has released several albums along with his Van Halen rock band group. He has been incredibly successful since the inception of his music career and has accumulated a huge wealth for himself. The lead singer of the spectacular rock band currently has a whopping net worth of $60 million. He earns from his music shows, tours, TV shows, and other business ventures. In addition to their numerous achievements, David Lee Roth and his group have since been inducted into the Rock and Roll Hall of Fame in 2007.
Who are The Wife and Children or Is He Gay? If there is one thing that is as popular as David’s musical career, that should be his love life. The rock musician has been involved in numerous relationships but has never made it down the aisle. He is certainly not a one woman kind of man and he is certainly not gay. David has dated over seventeen women including models, musicians, and actresses and he doesn’t have any children. Some of his popular hookups include Brooke Shields, Caron Bernstein, Connie Hamzy, Sabrina Guinness, Sonia Braga, Kathy Simmons, and Apollonia Kotero. Others are Elle Macpherson, Stacy Yarbrough, Valeri Kendall, Ann Boleyn, Alyce Rowse, and Wendy O. Williams, etc. Additionally, David is currently dating a Japanese lady who is twice younger than him.